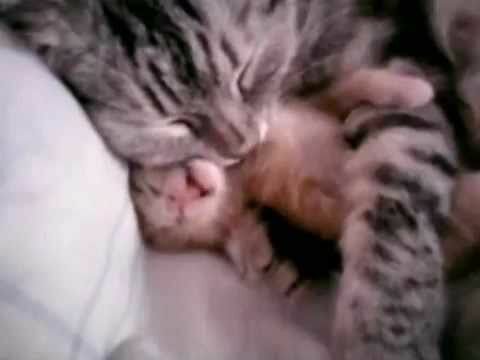 Cat mom hugs baby kitten - OMG! LoLoL! Japanese Prank Show : "Wake-Up!!!"